Think your downtown Spokane high-rise has a fire sprinkler system? Think again. 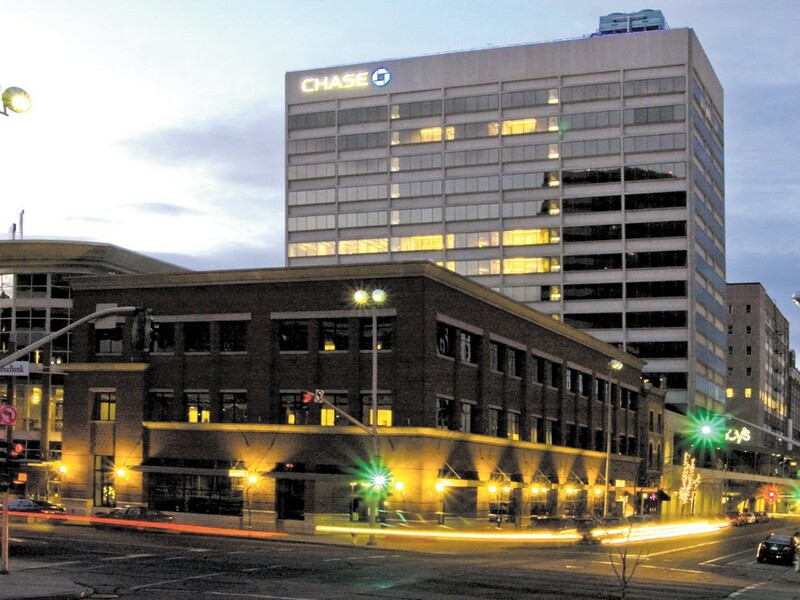 All it would have taken to put out a blaze on the sixth floor of downtown Spokane’s Chase Financial Building last month was a sprinkler system. But that floor of the 15-story building didn’t have one, so Battalion Chief Bob Green ended up calling in firefighters from four stations to knock down what he described as one of the most challenging types of fires his employees face. Many high-rise buildings across downtown don’t have sprinklers in their upper floors. That’s because they don’t have to. And when a high-rise burns, firefighters often don’t know what kind of fire suppression exists until they get there. In 1995, Spokane adopted a fire code that required new buildings to have sprinklers installed, Kokot says. Prior to that, the code only required basements to have sprinklers in them. Installing sprinklers in older high-rises can be an expensive proposition, requiring the installation of high-capacity pipes and pumps, says Larry Soehren, vice president of Kiemle and Hagood, which manages the Chase building. Soehren says his firm is in the process of installing sprinklers in that building, aiming for one floor a year. But sprinklers can cost $5 to $10 per square foot, depending on the floor. Last year, two bills were proposed in Congress to allow businesses to write off the cost of installing sprinklers in high-rises. Those bills have gone nowhere. Had the firefighters not been able to contain the Feb. 19 Chase fire, and it began spreading, the only other option would have been to pull out and wait for the fire to burn itself out, says Assistant Fire Marshall Mike Miller. That could have taken two to three days, and the building could have been destroyed. Miller says firefighters now rely on reports of a building’s fire safety systems, as well as legally required fire safety equipment like standpipes and fire doors, to mitigate fires. But they don’t always have time to read those while racing to the scene of a fire. And none are as effective as sprinklers.